From this mare we have another foal from Ermitage Kalone for sale and an embryo from Uricas vd Kattevinnen. Like in Borculo, it was again a renomated breeder who bought our foal yesterday at the Horseman Elite auction. With Sarin Optima, d'O horses obtains very interesting bloodlines. 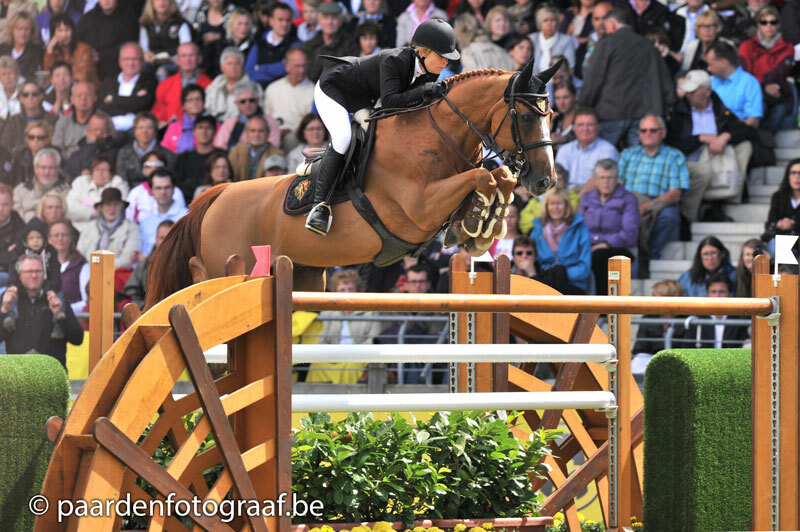 Her mother won several Grand Prix 1m50 but her carreer ended due to an injury. She is the halfsister of Itot du Château 1m60, one of the best horses in the world. Also Sultan du Château 1m60 en Qui M'Sieu du Château 1m60 are halfbrothers of the mother.